The Trump administration is scrapping an Obama-era initiative that aimed to tap into outside organizations to improve care for select Medicare patients. As part of the Direct Decision Support Model, which was announced in late 2016, the CMS was going to partner with commercial firms that provided health information to the public but were not providers. The agency had received applications from willing partners last year, but the effort had not launched. On Friday, the CMS announced that it was junking the model. "CMS is not moving forward with the DDS Model due to operational and technical issues with the proposed Model design," the agency said in a notice. "After careful consideration and review of all available options, CMS determined that the design and operational changes necessary to continue with the DDS Model would be too significant and burdensome for participants, and would require a new solicitation." The model was going to encourage the use of decision aids such as pamphlets and brochures that offer treatment options for particular conditions. Each firm selected by the CMS would have been assigned a geographic area that included about 100,000 Medicare beneficiaries. About 700,000 beneficiaries were expected to be eligible for the model. The agency did not reveal which firms applied to participate. The decision to cancel the DDS model comes two months after the CMS quietly canceled a similar effort known as the Shared Decision-Making Model, which would have allowed Medicare beneficiaries to work with their clinicians to choose their best treatment plans, including surgery. The model applied to clinicians in Medicare Shared Savings Program or a Next Generation accountable care organization. 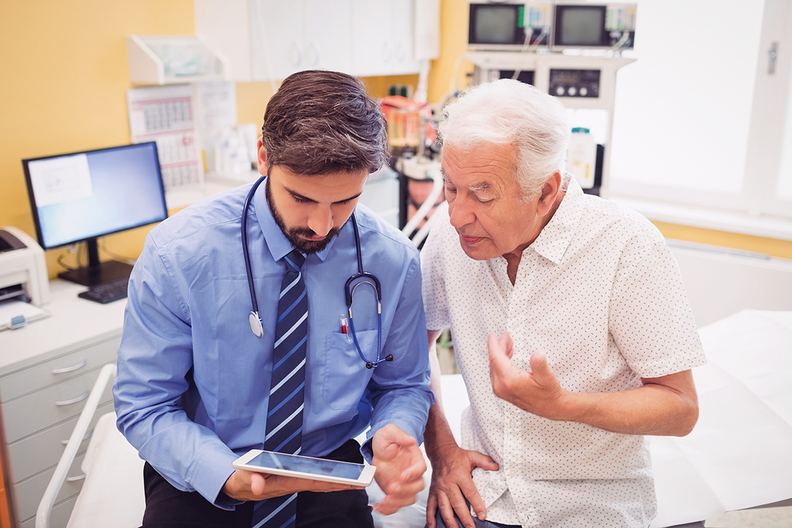 However, in November the CMS announced it was not to moving forward with the effort due to an insufficient number of ACOs expressing interest in participating. The agency expected more than 150,000 Medicare beneficiaries would have been eligible for that model every year. Both models targeted Medicare patients with specific conditions: stable ischemic heart disease, hip or knee osteoarthritis, herniated disk or spinal stenosis, clinically localized prostate cancer and benign prostate hyperplasia. The conditions were chosen because they don't have one appropriate treatment option and the course of treatment can vary based on the patient's personal preference.